Extend Your Summer Fun To Labor Day Weekend with Our Late Summer Special! As Summer season comes to an end for many with the return to school, the fun doesn't wind down on Daytona Beach! Enjoy our Nautilus Inn Summer Special Offer through August 31, 2018! Now, it's more affordable than ever to squeeze in that last-minute summer vacation in the Sunshine State. Looking for our Labor Day Special Rates? Visit Here! 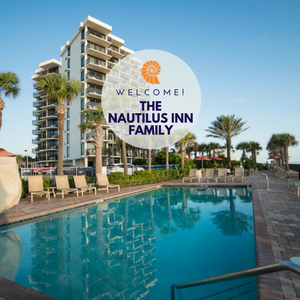 From our beachfront setting to our hot summer savings - book your stay at Nautilus Inn and let us show you why Daytona Beach your families perfect destination for your upcoming beach getaway! 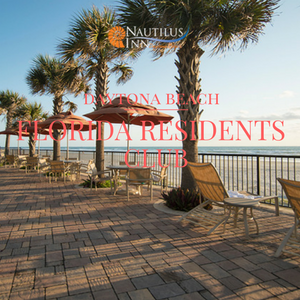 Our famous "A1A" location will impress the whole family with condos overlooking the world-famous beaches of Daytona Beach, Florida! With amenities the entire family will love such as our ocean-front sundeck with heated pool, private oceanfront balconies, chaise lounges and whirlpool - the possibilities are unlimited for family fun on-and-off our property and beach! In addition, all of our rates include complimentary daily deluxe breakfast and cocktail hour - guaranteed to keep every member of the family entertained as well as give parents a relaxing end of summer vacation! Don't forget to book your summer vacation with our Summer Special offer and save up to 30% on stays of three nights or more! View our Summer Specials online or call (386) 254-8600. Join us this Summer at the Nautilus Inn! From the moment you arrive at our famous "A1A" location, you'll feel like you're on vacation! View our "Late Summer Special" offer or call (800) 245-0560. Make your reservation today!